It seems like every day there’s an article describing the morning habits of a billionaire and recommending that we all adopt them. Like some kind of method acting, the idea seems to be that if we do the same things as Bill Gates in the first couple of hours of every working day, we’ll wake up one day to find ourself the richest person in the world. This seems to me to be spectacularly missing the point. These people didn’t become billionaires because of their morning routines, but rather through vision, hard work, luck, where and when they were born, who they worked with, and many other reasons. They have their morning routines because that is what works for them and their lives. 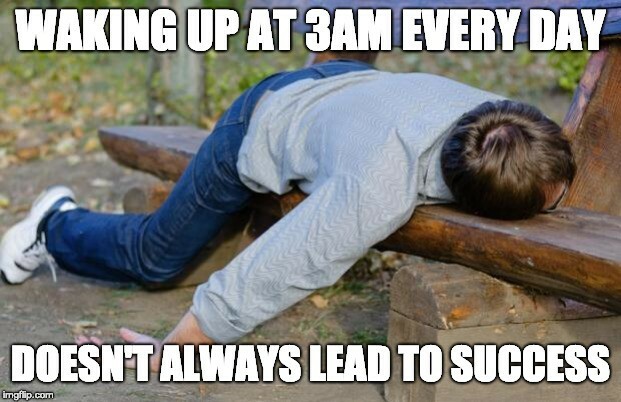 By all means look at the various habits that they have and ponder if you might enjoy doing that too, but don’t assume that getting up at 4am to practice yoga will be the path to success. It might make you more energised and productive or it might make lead to you feeling exhausted by lunchtime and useless in the afternoon. Also remember that the day to day life of the billionaire probably differs quite a bit from yours in terms of mundane tasks — somehow I doubt that Elon Musk has to stop at the supermarket on the way to work because he’s low on milk, or drive to the rubbish dump with four bags of hedge clippings after an afternoon working in the garden. I don’t beat myself up because I don’t surface at 3am to deal with the top five items on my todo list, instead I get up around 6am to walk my dogs before feeding them, and this feels like a perfectly acceptable way to start the day. I’m better known in the Salesforce community as Bob Buzzard — Umpteen Certifications, including Technical Architect, 6 x MVP and CTO of BrightGen, a Platinum Cloud Alliance Partner in the United Kingdom who are hiring.